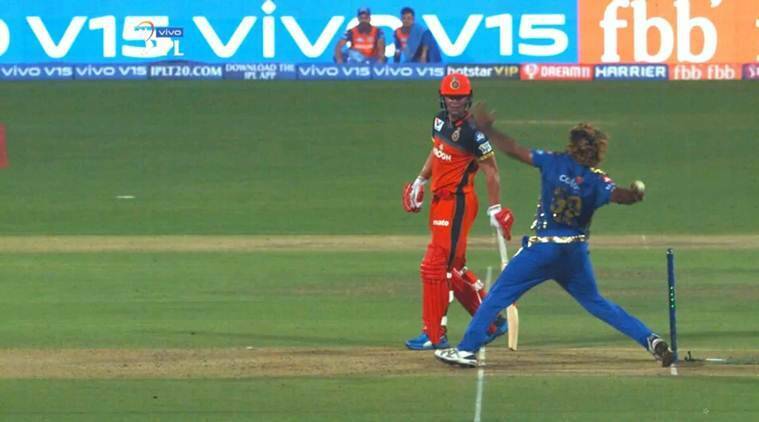 MI vs RCB, IPL 2019 buildup highlights: Rohit Sharma-led Mumbai Indians replaced the injured Alzarri Joseph with Lasith Malinga while Virat Kohli said that Royal Challengers Bangalore are playing an unchanged squad. So Jason Behrendorff keeps his place in the squad despite leaking 31 runs in his three overs against Rajasthan Royals. RCB fans will have to wait a little longer to see Dale Steyn in action. Meanwhile, Sachin Tendulkar was bowling a few leg breaks with Mayank Markande in the middle before the toss. Surprising he hasn't been selected, Tendulkar, he was looking pretty good. RCB skipper Virat Kohli at the toss: "I would have done the same. As Rohit said, it's a difficult ground to defend and we're good at chasing. So, we would have bowled first too. Wouldn't want to look too far ahead. Have told the boys to enjoy on the field and not take much pressure. We're playing the same team." Mumbai Indians captain Rohit Sharma: "We're gonna bowl first. The nature of the ground says that it plays better in the second half. Also it's something our team is good at. Yes, it was a tough loss (against RR) but you need to give them credit. Jos Buttler played a fab knock. We have one change - Alzarri is injured, Malinga is back." Royal Challengers Bangalore are unchanged from their win against Kings XI Punjab on Saturday. Mumbai Indians playing XI: Rohit (C), de kock (WK), Surya, Pollard, Kishan, Hardik, Krunal, Chahar, Bumrah, Malinga, Behrendorff. Rohit Sharma confirms that Alzarri Joseph is out and Malinga is in for MI. Kohli says that RCB are fielding an unchanged squad. And these two say that they are ready for Wankhede. Doesn't matter how weak the team they are playing for may be, any opposition team would be a little worried because of them. Kohli will always go down in history as arguably the best of his generation regardless of the format of the game while Rohit will be remembered as a stalwart in limited overs cricket at least. But as far as captaincy skills go, it is a very different story. Kohli's poor record as RCB skipper and his perceived lack of imagination in the absence of MS Dhoni and Rohit in the Indian team, complemented by Rohit's exceptional record as Mumbai Indians captain, has led to debates over the past one year as to whether captain Kohli should be considered in the same league as captain Rohit. The two superstars clash once again today. Mumbai Indians' latest pace phenomenon took a knock during their match against Rajasthan Royals and he will now reportedly be missing the rest of the IPL because of it. Mumbai Indians XI vs RR: Rohit Sharma, Quinton de Kock, Suryakumar Yadav, Kieron Pollard, Hardik Pandya, Ishan Kishan, Krunal Pandya, Alzarri Joseph, JaspritBumrah, Rahul Chahar, Jason Behrendorff. Royal Challengers Bangalore XI vs KXIP: Parthiv Patel, Virat Kohli, AB de Villiers, Marcus Stoinis, Moeen Ali, Akshdeep Nath, Pawan Negi, Yuzvendra Chahal, Umesh Yadav, Navdeep Saini, Mohammed Siraj. Mumbai Indians bowling coach Zaheer Khan believes that Jasprit Bumrah has made immense progress in the past four, five years, which clearly reflects his will to experiment with the surface and his length.